So you are staying in Boulder for another year? If so, then you need to figure out where you are going to live? Maybe you have explored the area and want to be close to the hiking trails at Chautaqua Park or NCAR. Perhaps you want to be close to the action of Pearl Street or on the Hill or you might want some peace and quiet when you’re at home and want to be further away from the action. It could even be that you had friends who lived in that perfect house and you know they are moving out at the end of the year and you want to live in your dream house. No matter what the situation, Boulder Property Management can help you find the apartment or house for rent that works best for you. With over 900 properties in the Boulder Property Management family, we have a little bit of everything. Whether you want a small 1-bedroom apartment or a huge house to live in with a couple of friends, we have properties for everyone. Keep in mind – our houses for rent always go first, so if you want to rent a Boulder home with your friends, START THE PROCESS EARLY! Boulder Property Management has the leasing experts available to help you to find the right apartment or home for you. Boulder Property Management is family-owned, owner-operated, and delivers high-quality, full-service residential property management to the Boulder community. Just keep in mind – if you want to live there, other people probably do as well. Prepare yourself by starting early, getting your paperwork in, and letting us help you find your next Boulder home ASAP! We base our leasing schedule around the school calendar. Most leases go from July to July or August to August. While there is no set date that pre-leasing begins each year, it’s usually in the early fall between October and November. That being said, if you have a specific property currently in mind or have an idea of what you are looking for in a rental, contact us and we can let you know what we have available. What information do you need to be approved for pre-leasing? 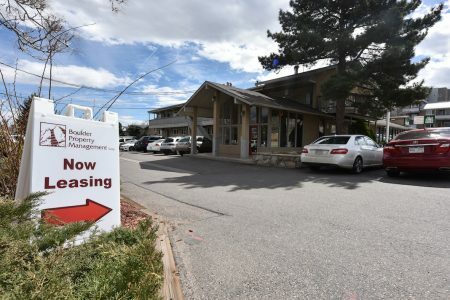 While there are forms and applications for you to fill out before we can officially sign a lease, the most important thing for you to do is reach out to the Boulder Property Management Leasing Team! If we don’t know that you are looking for a place to live, it’s hard for us to help you find one. Yet if we know what you are looking for, what your budget is, and the timeline you need, we can help! What if I know the house or apartment I want to rent and there are people living in there currently? First of all, if the current tenants intend to renew their lease for an additional year in that same property, there is not much we can do. However, if you know they are going to be moving out, we have a ‘Waiving Right of Lease Renewal’ form (under Contracts and Forms on the website). If you get ALL of the signatures of the tenants on the current lease to sign this form and BPM verifies the signatures for authenticity, we can then start the process to sign a lease for this property with you and your roommates for the next year. Finding a home to rent can be stressful and frustrating. We can help! As you start to plan for your living situation for the upcoming year, be sure to contact the Boulder Property Management team and have us assist you in finding the right rental for you.